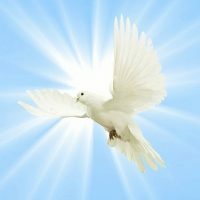 Claude Ellerson Bird, Jr., age 90, of Baxley passed away Friday, October 26, 2018 at his residence under the care of Southern Care Hospice. Mr. Bird was born December 4, 1927 in Metter, Georgia to the late Claude Ellerson Bird, Sr. and the late Ruby Collins Bird. He was a member of the First United Methodist Church where he served as a MYF Leader, Sunday School teacher and served with the United Methodist Men. Mr. Bird was a veteran having served in the United States Navy. He was very active with the Boy Scouts of America having been awarded The Silver Eagle in 2004, Golden Eagle in 2006, and honored with a Georgia State Senate Resolution for 60 years of service. Mr. Bird was also a Mason and a member of the Baxley Exchange Club. Mr. Bird was preceded in death by his wife, Cleora Bird, sons, Kelly Bird and Claude Allen Bird. Survivors include his son & daughter in law, Gary & Leta Bird of Baxley; granddaughter, Rachel Bird of Baxley; great grandson, Harrison “Cricket” Tillman of Baxley; daughter in law, Denise Bird Pittman of Vidalia; special niece & caregiver, Sarah Smith & a special caregiver, Kathy Sellers. Special dogs, Heidi and Annie. Funeral services will be held Monday, October 29, 2018 at 3:00 p.m. at the First United Methodist Church with Rev. Eve Tomberlin and Rev. Steve Meguiar officiating. Interment will follow in Pleasant Grove Cemetery. Active Pallbearers will be Melvin Carter, Larry Callaway, Mitch McLean, Allen Carter, Mike Carter and Ian Dieball. Honorary Pallbearers will be members of the Trinity Sunday School Class. Visitation will be one hour prior to the funeral service at the First United Methodist Church. In lieu of flowers remembrances may be made to the Boy Scouts of America Troop 472 c/o First United Methodist Church 217 South Main Street, Baxley, Ga. 31513. Arrangements are under the direction of Swain Funeral Home. Are you enjoying Lite FM?